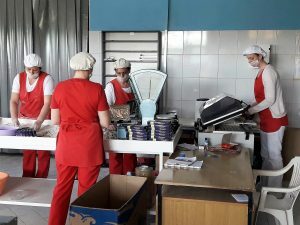 Within the project “Partnership for quality jobs and competitiveness”, implemented by Local Partnership for Employment Prnjavor, another seven unemployed persons from Prnjavor have been trained and employed. 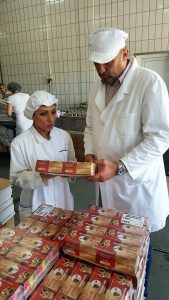 Two salesmen and a sales manager for sale of meat products was trained and employed in company MI Trivas from Prnjavor. 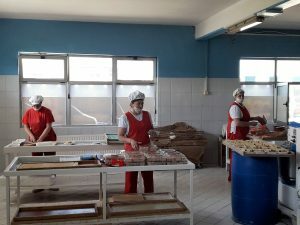 Also, four unemployed women have been trained for work on production and packaging of pasta, ratluk and confectionery products and employed in company Kruna doo from Prnjavor. Within the project, 18 of the planned 50 persons have been employed so far, while 75 unemployed persons will be trained in metal processing, wood processing, food and footwear production through trainings organized by the Local Partnership for Employment Prnjavor. Local partnership Prnjavor is one of 15 partnerships established in the country within the project “Support to Local Employment Partnerships in B&H”, funded by the EU with 4 million EUR and implemented by the International Labor Organization (ILO), which aims to re-qualify nearly 2,000 unemployed persons and employ at least 620 of them in 22 local government units.